The Suprise of my Life! October 10, 2015 started as a normal Fall day. My mom, boyfriend, and one of my best friends, and I had spent the night before decorating the garage to my mom’s house for my little sister’s birthday. I had gone to the kitchen to finish icing cupcakes. Little did I know that the three of them were making final preparations for an event that would have me smiling months later. Starting in late July, my boyfriend had asked me if we could throw a Halloween party. I loved the idea and jumped in full speed ahead! 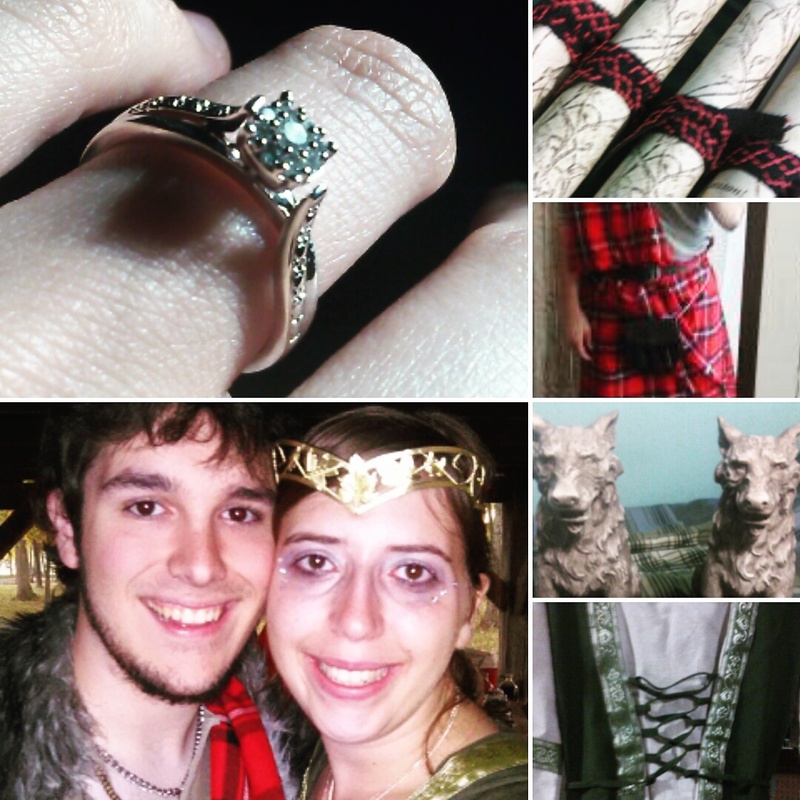 I made it medieval themed, created scroll invitations, purchased some awesome stone wolves, planned out dishes and even helped my friend pick out a costume dress. I was so focused on having an awesome Halloween party, that I had no idea there was another party being planned behind my back. The one time that being kept “out of the loop” was actually a good thing. If there was anything that could go wrong leading up to the final minutes before the party, it did. The shelter house we wanted had already been reserved so we selected a different one, not realizing there were no outlets for crock pots. We made the food at my mom’s house and then had to transport it to the park. On the way back to the shelter, my friend was holding a crock pot of green beans. We hit a bump in the road, and the scalding water landed right on her stomach. I could see the tears in her eyes that I thought were just because she had been hurt, but later she told me it was because she thought it was going to ruin the surprise to come. She’s such a trooper and I love her so much for toughing it out and getting a battle scar for me! Once everything settled down and everyone had their fill, my boyfriend called our guests over to the main table that had T-shirt banners representing each of my friends’ houses, my boyfriend and his brother, and me and my brother’s houses. He started out thanking everyone for coming, telling all our friends how much they mean to us, and thanking me for always being by him. My hand shot to my mouth and tears instantly filled my eyes, the happiest tears I’ve ever cried. A very squeaky “YES!” More tears, hugs, kisses, and the cheers of our friends as he threw his fist in the air. If ever there has been a greater adventure, I can’t wait to go on it with my future husband by my side!